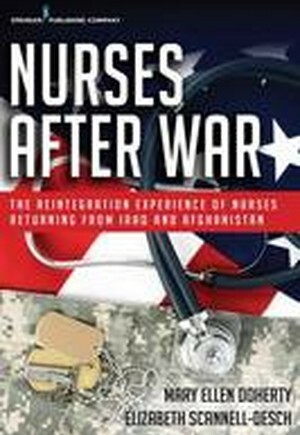 The first book to address nurses' collective reintegration experiences following deployment in Iraq and Afghanistan Based on candid interviews with 35 nurses who were deployed for the wars in Iraq and Afghanistan, this is the first book to reveal the stresses and moral dilemmas they experienced as they transitioned back into everyday life. The nurses share their difficulties with family separation, clinical reassignments, PTSD, the perceived stigma of seeking mental health counseling, and compassion fatigue. They describe how doing nursing in a war zone changed them personally, expanded their nursing skills, and how reintegration was more difficult than anticipated. In addition to serving as a personal account of the experiences - both individual and collective - of these military nurses, the book will serve researchers as a compelling example of qualitative, phenomenological, and descriptive research. Interviewees describe in vivid detail their homecoming, family adjustments, renegotiating of spousal and parenting roles, domestic and workplace challenges, and many other dilemmas posed by the reintegration process.